Exit Foundation had the opportunity to present its ecological activities at the Creative Climate Leadership Conference on December 6th, in Krakow, Poland. This event gathered artist, culture workers and representatives of creative industries who exchanged experiences in leading and designing ecological projects and spoke about how creativity could serve the preservation of nature. Creative Climate Leadership is a European Commission program that supports culture and culture sectors in the period of 2014-2020, initiated for artists and professionals in the field of culture. Exit Foundation has also been raising environmental awareness through various projects since its inception. 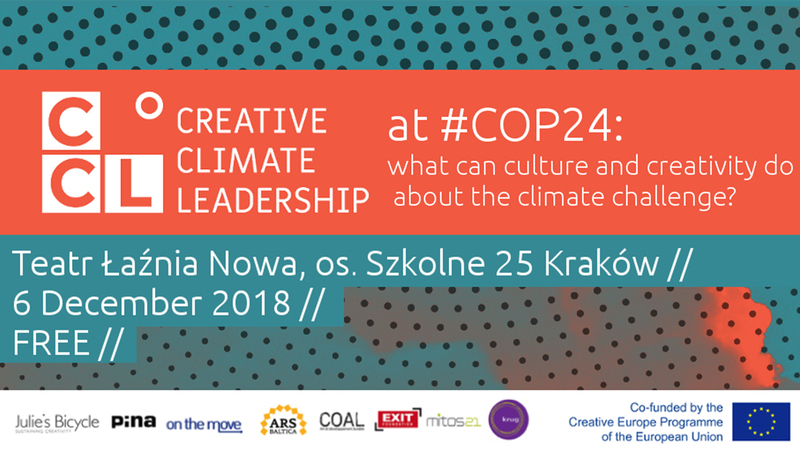 Creative Climate Leadership Program gathers eight European partners that represent a wide geographical reach, specialty in various artistic forms, and different approaches to developing capacities to influence the environment throughout the creative sector of Europe. It was started for artists and art professionals with the goal of researching artistic dimensions of climate change and undertaking creative and flexible, meaningful actions. EXIT Foundation, in partnership with organizations around Europe, has been actively promoting the importance of ecological awareness in the region of Western Balkans, and the campaign of EXIT Festival 2019 is focused on the topic of environmental preservation. EXIT Tribe 2019 invites all the fans and influential individuals from all over the world, artists, sportspersons and other public personalities, numerous movements and organizations to unite with a clear goal – to protect the planet and the entirety of life on it! World Chill-inn stage gets overhaul at Exit this year! A staggering 109 DJs for exit’s 15th birthday at the popular urban bug stage!